Edificio Carabeillo apartments are located in the Calle Carabeo, ideal location being within walking distance to the beach & town close to all amenities. Small Communal pool. 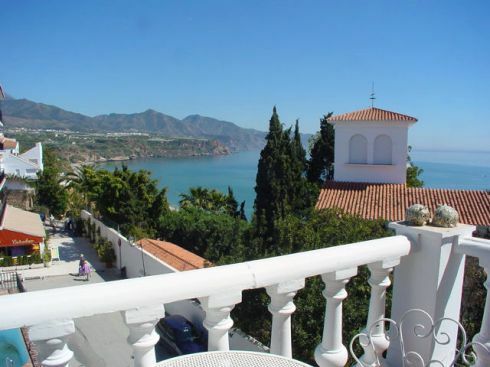 Roof terrace with sun loungers and amazing sea & mountain views. Nearby there are restaurants, cafes, pub, shops and only 5 minutes from the balcony of Europe. The car is not necessary but there are public parking within walking distance.